WordPress in most of the cases enables you to fix the error and even safe from brute force attack. But besides that when WordPress site is hacked and you cannot figure out the issue and fix the problem. The only method to save your WordPress is reinstalling the WordPress. Before doing anything on the WordPress website, firstly create a complete backup of the existing site. You can backup your data simply by using a WordPress backup plugin. In case if you do not want to use any plugin then backup your data manually. WordPress content is necessary to export by creating a WordPress export file because the file contains all the content of your post, pages, categories, tags, and comments. 1. Firstly, login to your database. 2. Then go to Tools >> Export page. Select all content and then click on Download Export File button. Your wp-content/ folder contains all the data of themes, plugins, and images of your site. So download this folder to your computer so later you can use it after reinstalling WordPress. 1. Connect your WordPress to FTP client. 2. Click on the /wp-content/ Folder and Download it to your computer. 2. 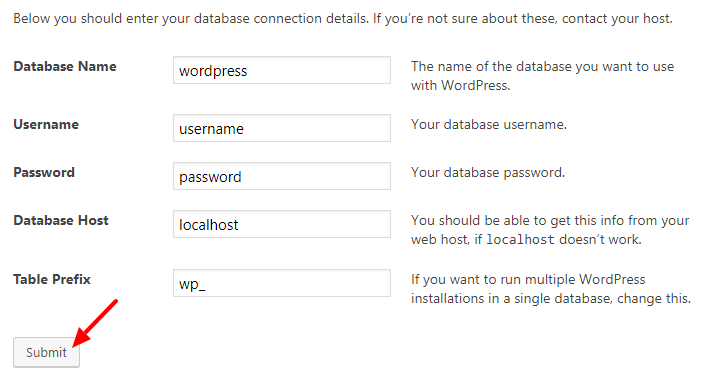 The first step is to connect the cPanel of WordPress site. 3. Then Delete all WordPress files. 4. Now instead of deleting your WordPress database. Create a new one with a New Username and Password. 5. To Create a new database, Login to a cPanel and click on My SQL Database icon. This will bring you to the add new database page. 6. Firstly, Enter Name for the new database. 7. Click on Create Database button. 8. 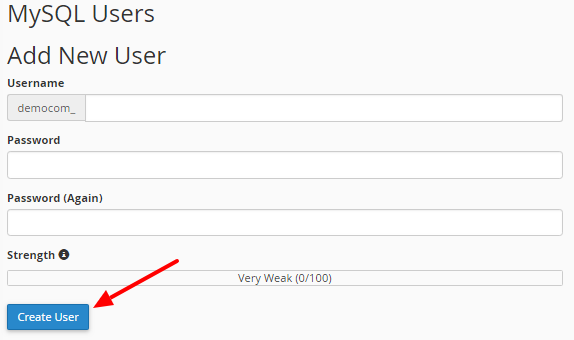 After that, scroll down the page and go to MySQL Users section and add a new user. In this section enter a Username and Password and finally click on Create User button. 9. Next, you need to add the new user to the database that you have created earlier. So scroll down to Add user to Database section and then select username and database that you created previously. Finally, click on the Add button to continue and your new database is ready to use. 1. Download a new version of WordPress from wordpress.org. 2. After uploading the WordPress files, visit your website. Fill all the fields Database Name, Username, and Password that you created earlier but your Database Host will most likely be localhost. 3. Finally, click on Submit button. 4. Now a new page opens which shows a message about successful connection. Then click on Run the Installation button to continue. 5. 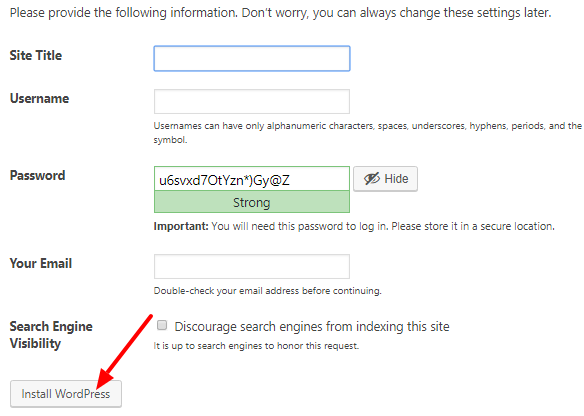 In the next step, again a new page opens where you have to provide Site Title, Username, Password, and Your Email. At last, click on Install WordPress button to continue. 6. Lastly, login into admin area using the username and password you entered earlier. Once you logged in to WordPress, you need to delete the default content. 7. Go to dashboard navigate to post and delete the Hello world. In the Comments section, delete the default comment and also delete the Sample Pages. After the installation of new WordPress, first things to do is restore your uploads, images, and themes inside the /wp-content/ folder. Connect your website to FTP client and select the /wp-content/uploads/ folder from your computer and upload it to your website. 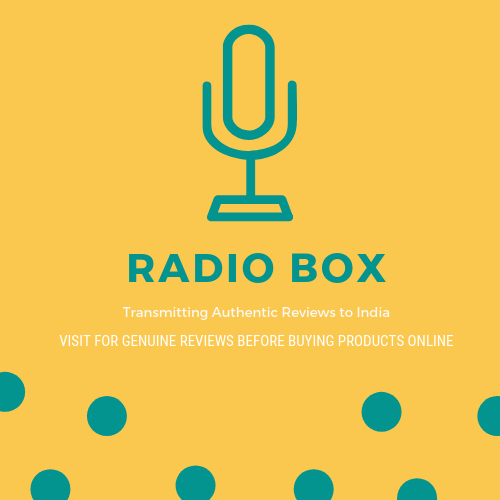 In these steps, import your post, pages, categories, tags, and other content. 1. Go to Dashboard and navigate to Tools >> Import and click on Install Now link under WordPress. 2. After that click on Run Importer link. 3. This will open a new page where you need to click on the Choose File button and then Select XML File you downloaded during the first step. 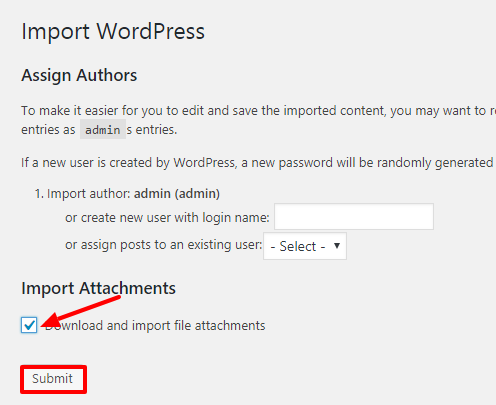 Note: Always check the box Import Attachments because this will allow WordPress to properly import the images in your /wp-content/uploads/ folder to the WordPress media library. 4. 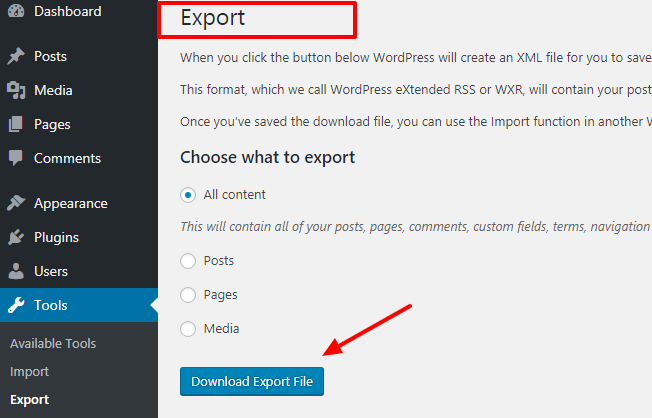 Finally, click on Submit button to continue and WordPress will start to import your XML file to your fresh WordPress. Therefore, At last after successfully importing content to your reinstalled WordPress, install plugins one by one and then activate them. That’s all, we hope this article helped you to know how to reinstall WordPress.